Many people use the term “street dog” and apply it generously to all dogs they see on the street. There is a sort of degree or level of capability of living on the street [a good portion of the day/night], versus those dogs that are not equipped or due to unique circumstances unable to survive on the street and are in a kind of ‘crisis’ mode. 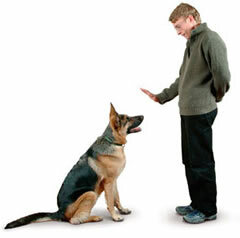 Most street dogs have owners or people who look out for them, but the dog does not live inside their house. Too frequently ‘street dogs’ have been removed from the street and brought to a shelter by persons with good intentions. The good feeling of having ‘rescued’ a dog off the street has an impact on shelter populations. So much so in fact, that representatives of the three local shelters, Anita’s Animals, The Ranch and Lucky Dog, have identified this phenomenon. These shelter volunteers are working as a team, because they share the concern for the welfare of dogs. They are working on a project to help offer guidelines to the community to help identify those dogs that can use assistance for their life on the street versus those dogs that truly need to be “rescued.” Many dogs just need a bit of regular aid such as being offered food and water and do not need to be ‘rescued.’ Possibly a dog with its hair so matted it has difficulty walking has an owner who cannot afford a groomer, and the offer of a haircut is all that is needed. A dog that appears to have been injured could benefit from a vet assessment to determine if it is an old or new injury, with appropriate follow-up actions. When the guidelines have been solidified they will be posted on the three shelters websites and other dog friendly media sites. A reminder as we are getting close to warm weather, do not leave your pet in a car, even parked in the shade with the windows down. The car can become an ‘oven’ very quickly. If you walk your dog, try to avoid the hottest part of the day and have water available for your pet. As I write this column I wonder how much of an influx of abandoned / tossed away dogs there will be in our community with the exit of some of our part-time visitors as has occurred in previous years. Previous columns have addressed the value of pets in our lives and the commitment a person needs to make when a pet is taken into a household family. But many people in our community unfortunately have seen firsthand or heard of a story about a ‘disposable’ dog taken for a period of time and then ‘returned’ or left to fend for itself. Shelters do try their best to weed-out these possibilities, but if a person would toss away an animal, they will also not tell the truth about their commitment to treasure and protect a defenseless cat or dog. My only hope is that Karma comes back swiftly to this heartless person. On a more positive note, there are countless individuals who help animals in need. Many assist in a variety of ways including feeding street dogs and cat colonies, spending time with the animals at shelters, work at the local spay-neuter clinics, foster young or injured animals, adopt off the street, donate food or provide financial support to their favorite shelter. For this, we as a community are very grateful and appreciative. Anita and her volunteers Thank You!